My new book has both a cover and title now…YES! Now it really is starting to feel like a book, albeit an e-book, and not just a pile of pattern charts on the floor, half woven bands on sticks everywhere and thoughts, plans, ideas and enthusiasm dancing in my head. A Facebook friend posted about the publication of this book recently, and oh-my-gosh, this is a definite candidate for the Wish List. 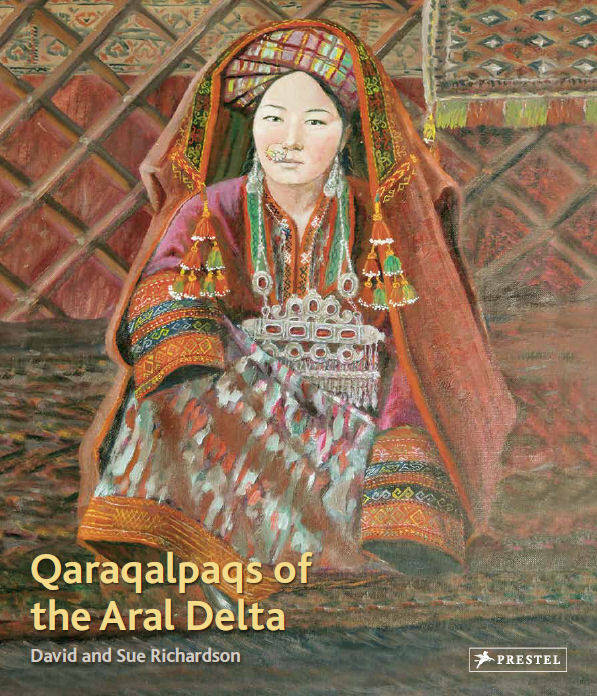 Now, I will be the first to admit that I had never heard of the Qaralqalpaqs and had only a vague idea of the location of the Aral Desert before I checked out this book and the associated website. This promises to be a book filled with stunningly beautiful drawings and gorgeous pictures of these Turkic minority people and their crafts…lots of textiles and information about the weavers, their looms and the clothing and furnishings for their yurts that they make with their cloth. 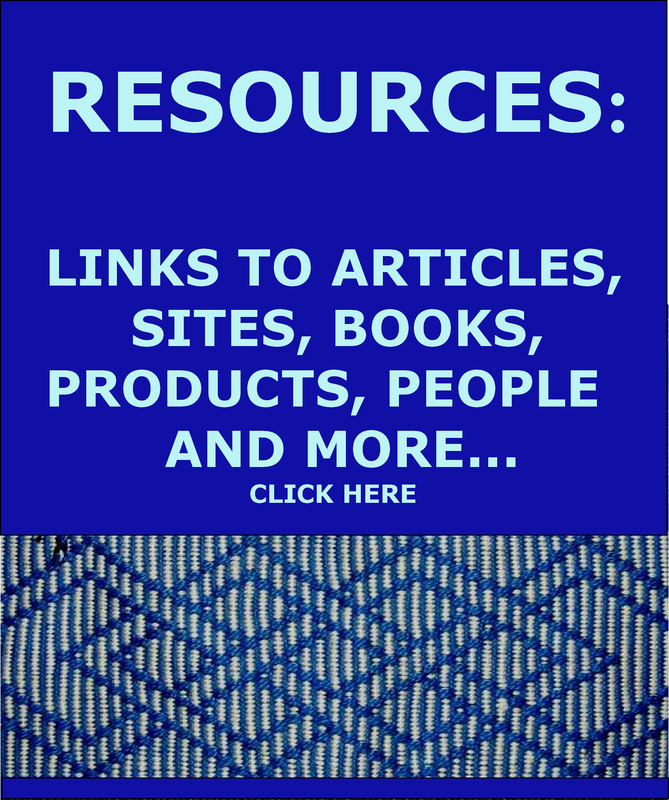 This website announces the launch of the book and shows some sample pages. That page is part of an entire site devoted to the Qaraqalpacs. 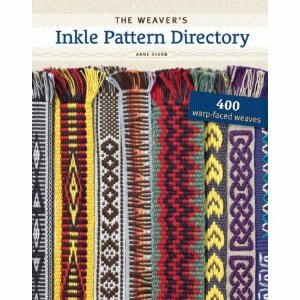 In a way it is fortunate that the book has only become available now as the temptation to adapt some of the Qaraqalpaq textile motifs to complementary-warp weave and include them in my book would have been too great and who knows when my book would be done! 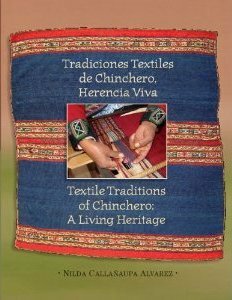 Other Wish List items include weaver, Chinchero native and CTTC director Nilda Callañaupa’s latest book which is bound to be spectacular. 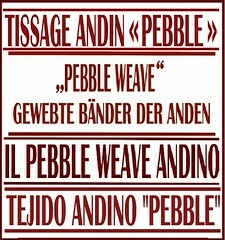 How often do we get to hear from the weavers themselves in these indigenous communities? 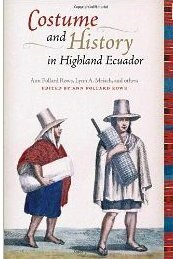 This book by Ann Pollard Rowe, Lynn A. Meisch, and others is the third which presents the massive amount of research and field studies conducted by the authors on the textiles, costume, identity and history, and weaving and dyeing of highland Ecuador. 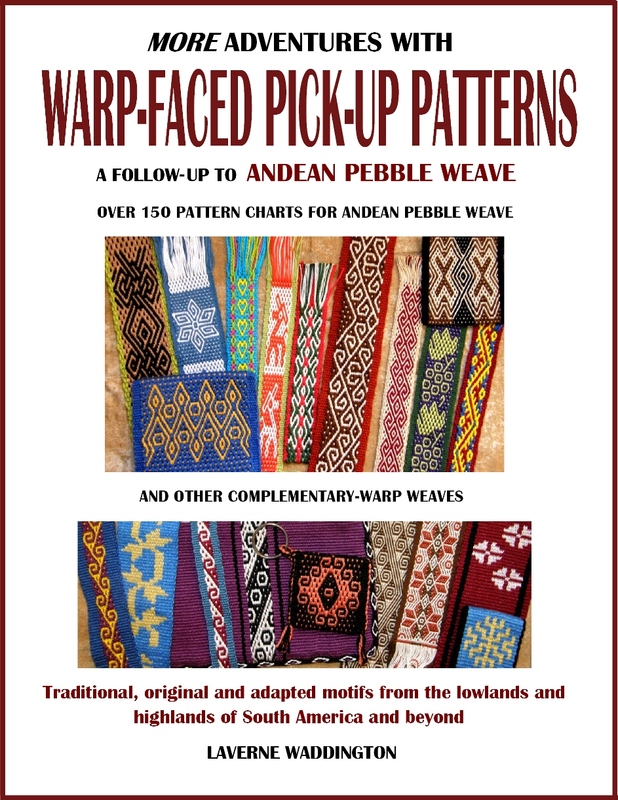 I am particularly excited about this third publication as the work that anthropologist Kathleen Klumpp has done documenting the ancient cotton weaving and spinning tradition in Manabí province in coastal Ecuador, to which I contributed, is cited therein. I contributed to the hammock weaving section. Kathie has just finished putting together a documentary on dvd of the work she has done with the Manabí spinners and weavers which I am hoping to see on my next US visit. It is wonderful to see what has resulted from her first encounter with this family of spinners and weavers when she was studying pottery techniques in the area. 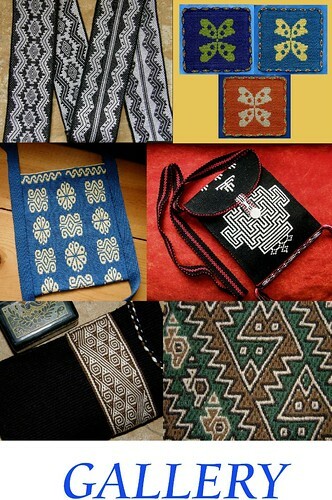 She happened to spot a farmer on one of the local rural buses carrying a woven saddlebag that was decorated with pick-up patterns and curiosity took her to the home of the weaver who had created it. But, as it happens so often to all of us, life got in the way and it was thirty years later, in 2006, that Kathie was able to resume contact and strengthen her friendship with this and other families in the area while striving to ensure that the weaving and spinning techniques and traditions are not lost when the elders in these small settlements pass away. Dare I put the cover of my new book here among all these wonderful publications……? I don’t think so. In any case, light is so sparse in my little home that I need to wait for just one more sunny day for a final photo session and then…. 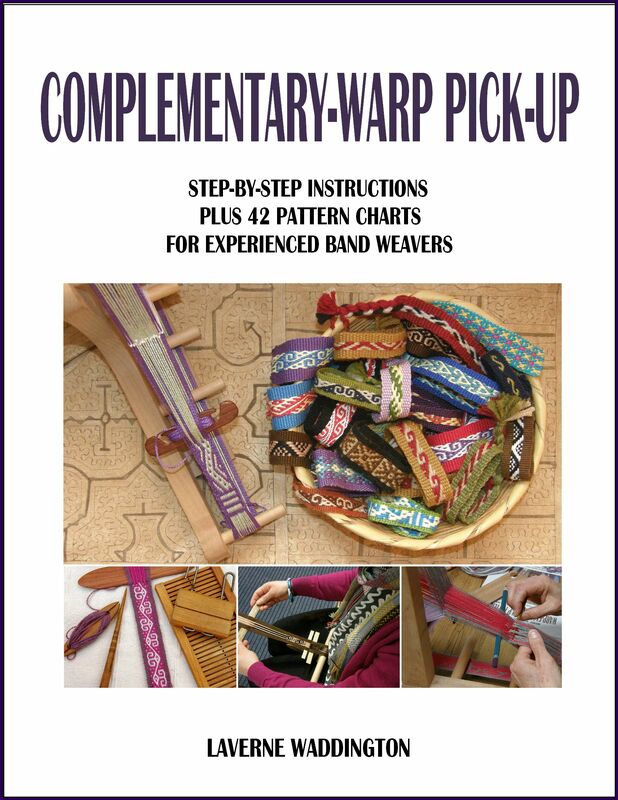 « Backstrap Weaving – Behind the Scenes….the new book!